Grasmere at 1 mile long, half a mile wide and 75 feet deep, would be an attractive and popular tourist area even without its Wordsworth connections. 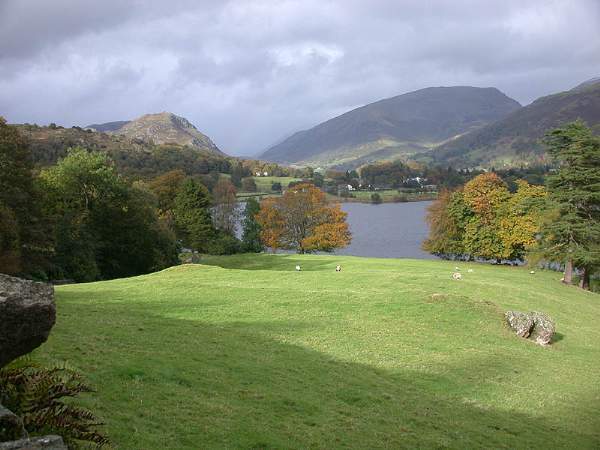 ‘The most loveliest spot than man hath found’ was Wordsworth’s famous quote describing the area of Lakeland that he most loved. The small island in the middle of the lake was his favourite destination while he was staying at nearby Dove Cottage. The island is now privately owned, and visitors should not land there, tempting though it is. 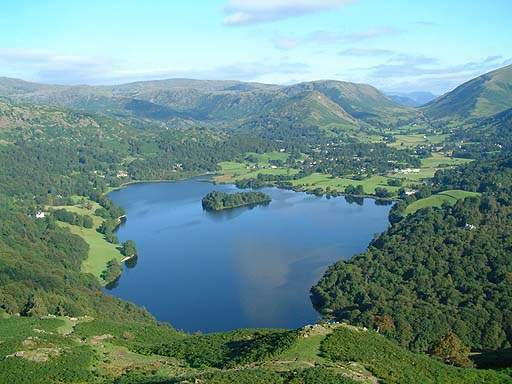 Grasmere and Grasmere Village from Loughrigg. Picture by Tony Richards. The lake is open for canoeing and boating, with boats available for hire 7 days per week between March and early November, in front of the refreshment kiosk on the south west shore. 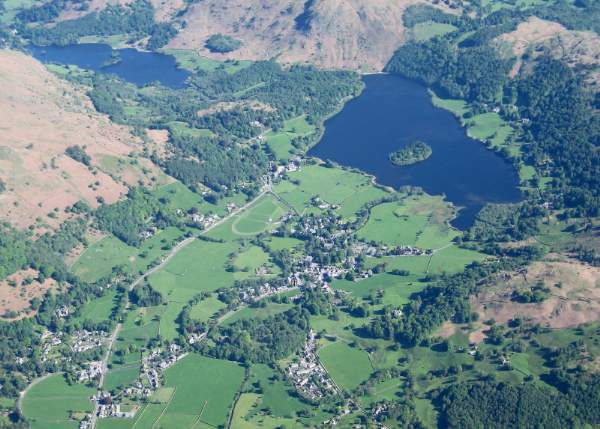 Grasmere village, Grasmere lake, and Rydal Water (top left). Photo by Simon Ledingham. There is a walk around the lake, though part of it is on the main A591 road which runs along the east side. The bed of the lake is owned by the National Trust.